Ask anyone in the healthcare industry about work, and you’ll be told that no two days in the medical field are entirely the same. If you like that kind of freshness, think about becoming a medical assistant. You are often the first face that patients see when they visit the doctor's office, and because of this, you are responsible for setting the tone of the entire visit. In addition to updating medical information, scheduling appointments, and various other administrative tasks, you need to be able to make the patients as comfortable as possible while prepping them for their examination. Many procedures and visits can be incredibly stressful for patients. Medical assistants, unlike doctors, have more time to put the patient at ease before getting started. Not only will you take the patient's vitals, such as blood pressure, pulse, and oxygen, but you will explain the upcoming procedure to the patient so that they can best understand and prepare for what will happen to them. You may even be present to assist the physician with the actual procedure. For this reason, it is incredibly important for medical assistants to be empathetic and personable, as this can make all the difference in the patient's care. 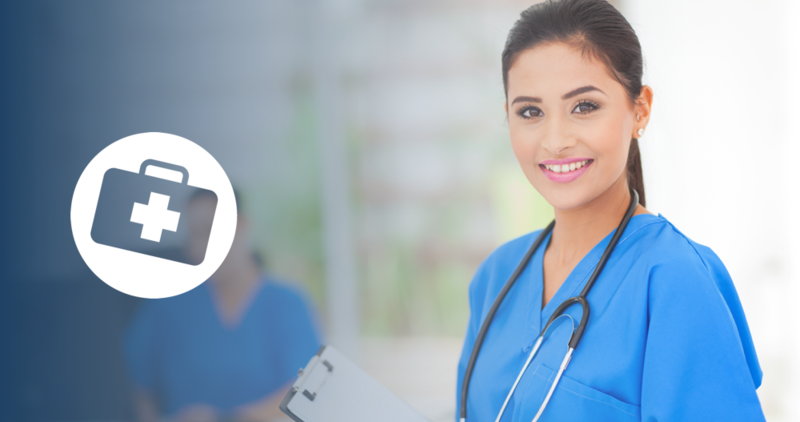 Developing trust, openness, and confidence is one of the primary concerns of a medical assistant. In addition to interacting directly with the patient, you will collect and prepare laboratory specimens, arrange and sterilize equipment, and order supplies. While much of your day is spent interacting with patients in a clinical manner, there is also some administrative work that goes along with these tasks. Medical assistants are often responsible for handling insurance forms, filing patient records, scheduling appointments, arranging for admission and laboratory services, and handling bookkeeping and billing. While these tasks are less patient-focused, they are important to the overall effectiveness of patient care within the office. If these tasks were left incomplete, the office wouldn't be able to function properly. Because medical assistants do not require as much training as other medical professions, becoming a medical assistant can be the perfect way for people without post-secondary schooling to earn a living and engage with the medical community. Some people join the field right after high school; others choose to enroll in a training program that lasts approximately 1-2 years. While you are not required to attend classes to become a medical assistant, those that do typically have an easier time getting a job and earning more pay. In addition to getting to have a different pattern at work every day, more benefits of medical assisting are the solid hours and good money. Most full-time employees work regular 40-hour work weeks, though some part-time assistants choose to work evenings and weekends. Medical assistants find their profession very rewarding, doing work that contributes to the health and well-being of individuals and the community. It starts by getting into a program near you.